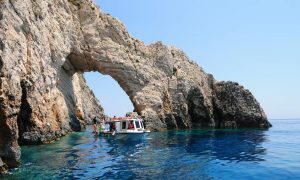 8 hours minibus trip in Zakynthos to the National Marine Park of the island. 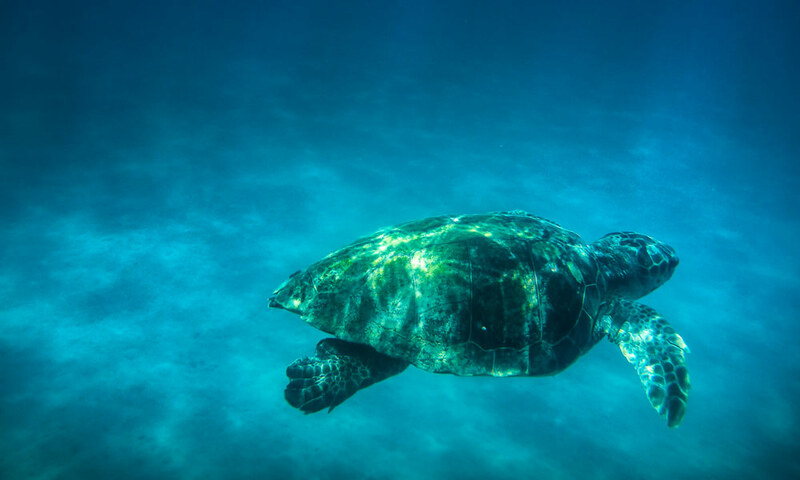 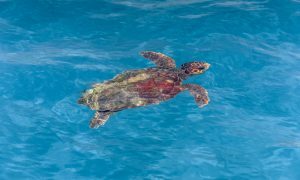 Visit the Turtle island and the Keri Caves and swim in turquoise waters next to the sea turtles. 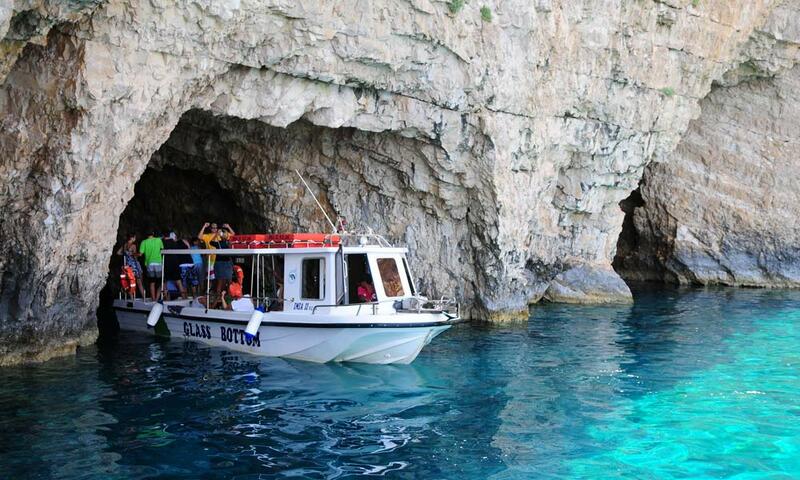 • Departure is about 10 am. • Vehicles pick up passengers either from their accommodation or from a predetermined location. • First stop at a traditional olive press in a village. 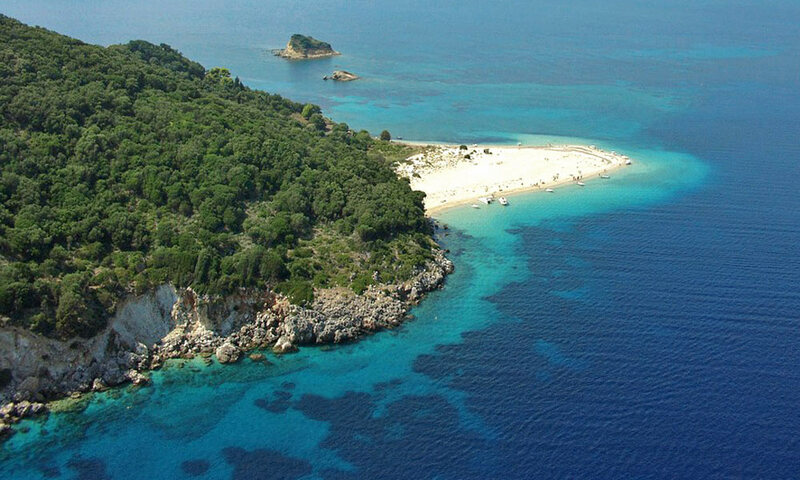 • Next, a stop at Keri beach. 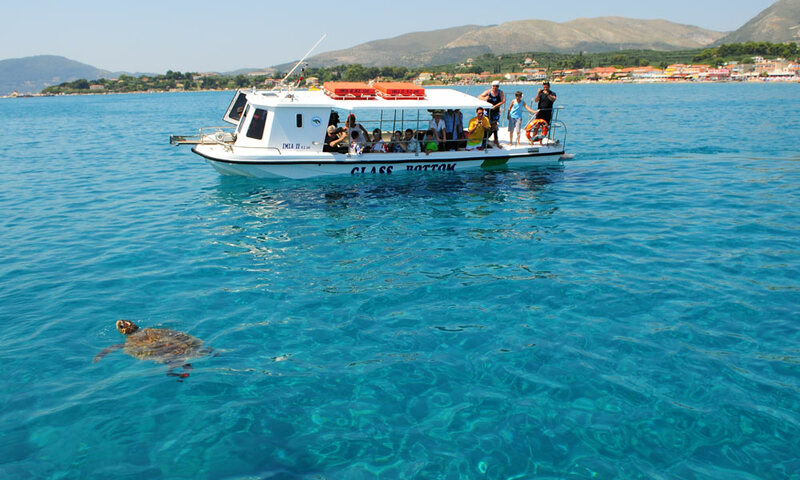 There visitors board a glassbottom boat and visit the island of the turtle, "Marathonissi", where they can swim. 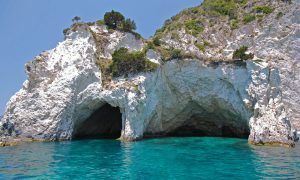 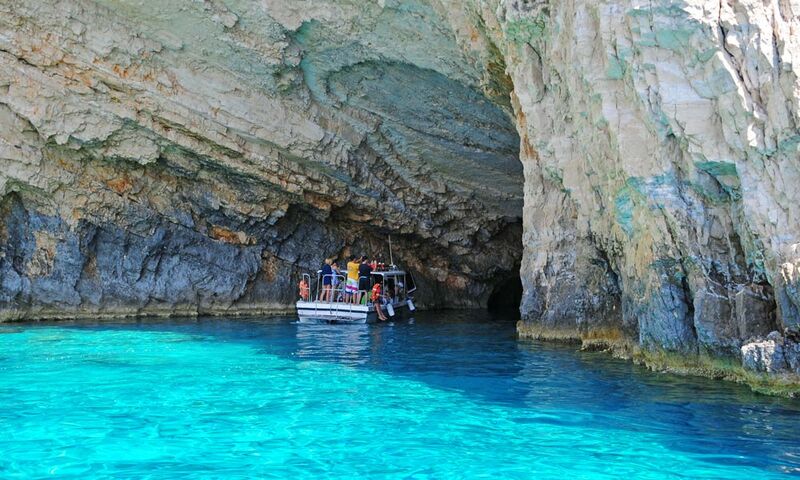 • The boat then sails to the caves of Keri where the passengers can swim while enjoying the wonderful waters and the green landscape. 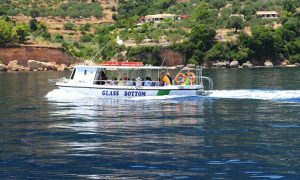 • After a three-hour trip, the boat returns to Keri where the passengers can have lunch at a traditional tavern in the area. • After lunch, there is a visit to Cameo, a rock in the sea connected to the land with a wooden bridge. A truly idyllic landscape. 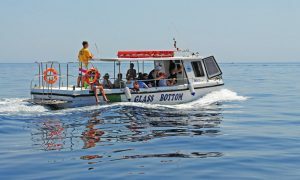 • Around 6.00 in the afternoon, the group returns to their base with unforgettable pictures and experiences. 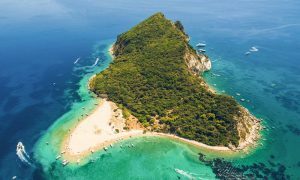 A small uninhabited island in the bay of Laganas, on the south side of Zakynthos, is a destination that every visitor must see. 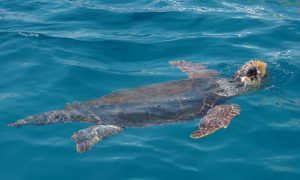 This is the turtle-shaped Marathonisi, part of the National Marine Park of Zakynthos where the Caretta - Caretta turtle is protected. It is also necessary to visit the unique beauty of the caves of Keri, where the vegetation and the wildness of nature blend with the sea, creating a wonderful landscape. 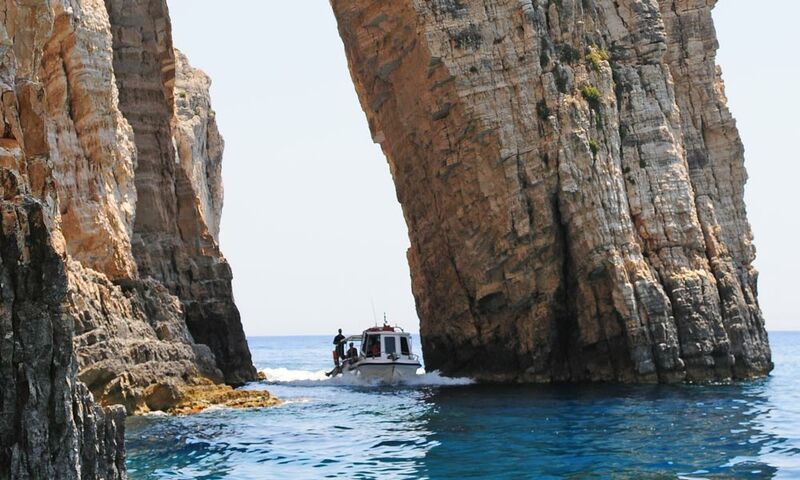 Combining the visits to these two wonderful places with a visit to a traditional olive oil mill, a meal at a local tavern that keeps the Zakynthian tradition in the kitchen, and a stroll to the isle of Cameo in the bay of Laganas, our travel agency organizes a wonderful 8-hour day trip, which will be truly unforgettable to anyone who chooses it . And of course we should not forget the observation of the sea turtle that swims and poses for tourists, making it an attraction of the area. 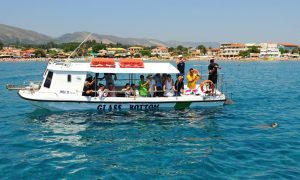 Departure with a luxury mini bus takes place either from the guest's accommodation or from the pre-set point, at about 10 am. 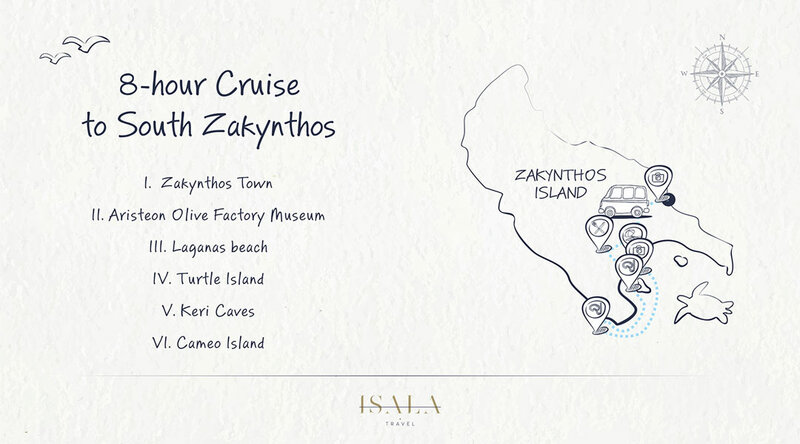 A little later, the group arrives at a traditional Zakynthian Oil Mill where visitors will see how the pure oil has been produced for decades, and they will also have the opportunity to try out the product. The next destination is Keri beach. 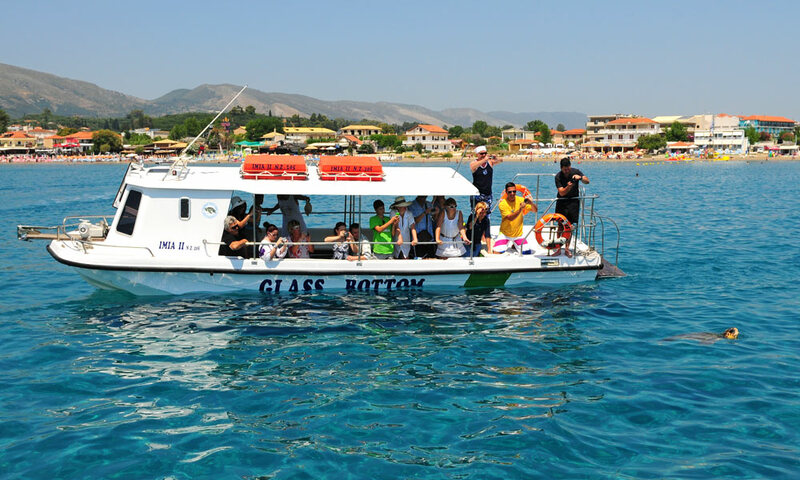 There, the guests will board a glass-bottom boat and sail to the beautiful island of the turtle, Marathonisi. 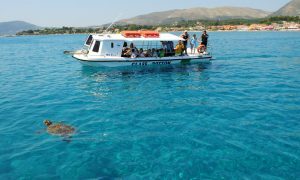 At the exotic beach where the turtles lay their eggs, the passengers will have the opportunity to swim and enjoy the wonderful waters. 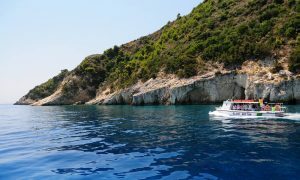 Right after, the boat steers for the caves of Keri , where the green of the vegetation meets the blue of the Ionian Sea creating a beautiful landscape. 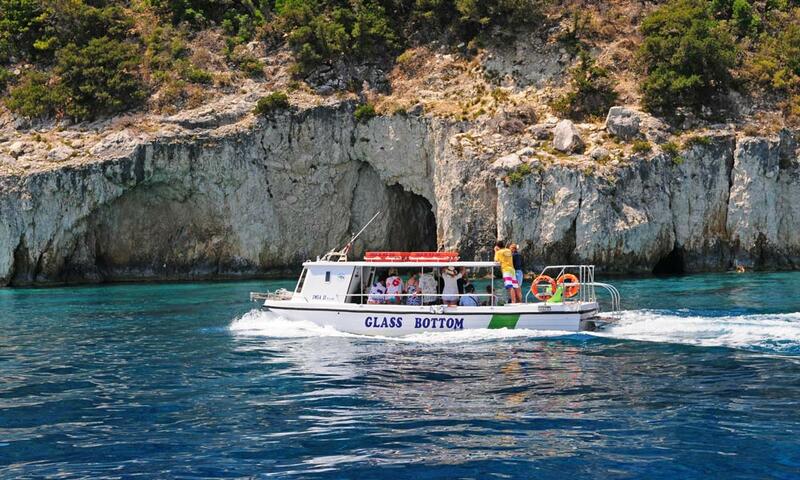 The passengers again can swim in the caves and explore their beauties. After the visit to the caves of Keri, the boat slowly sails back to the starting point after a three-hour cruise, sailing alongside the shore, giving the passengers the opportunity to enjoy the landscape and fill their minds and cameras with great pictures. 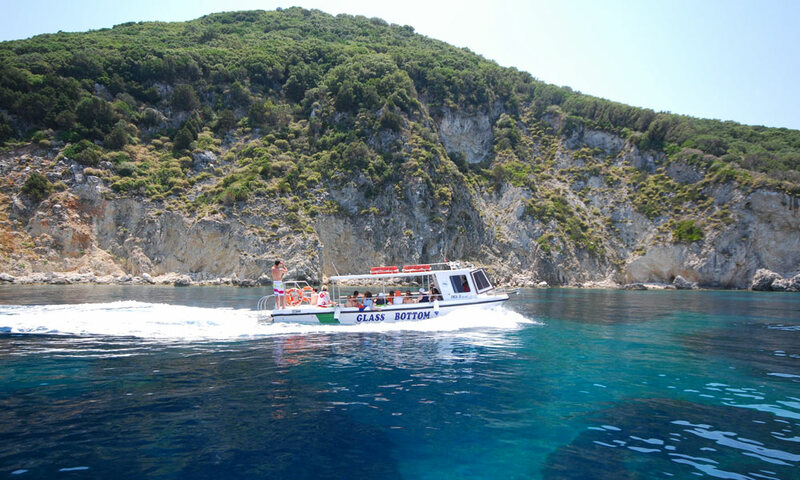 The return to Keri beach can be combined, if the passengers wish, with a meal at a traditional tavern. Then, there is a visit and a photo shoot on Cameo Island, a beautiful rock in the sea that is connected to the land with a wooden bridge: an idyllic scenery of rare beauty. 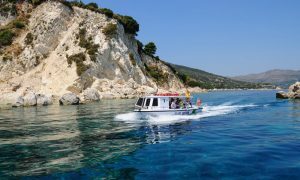 And this is where the excursion ends, the vehicle returning to its base and the travellers having enjoyed a wonderful tour. 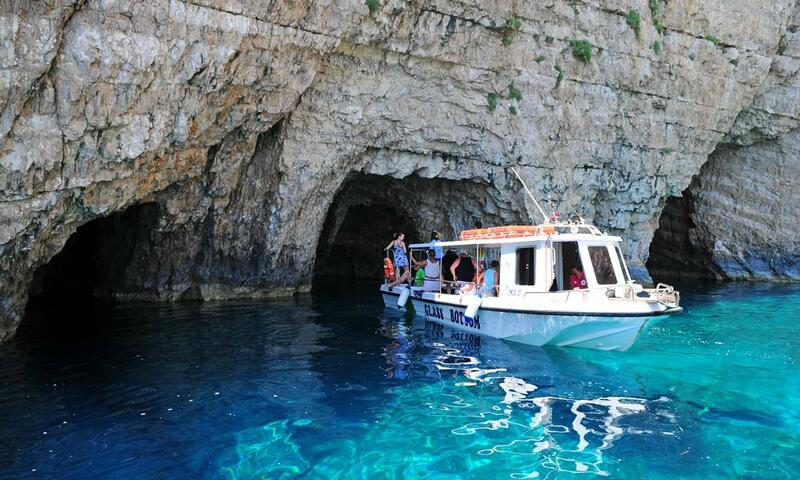 • Travels are organized with luxurious mini buses. 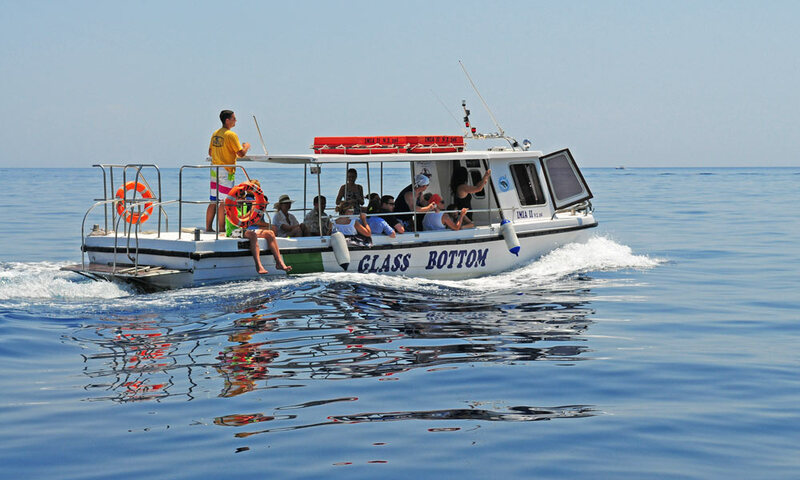 • The boats are glass-bottom for observing the seabed and marine life. 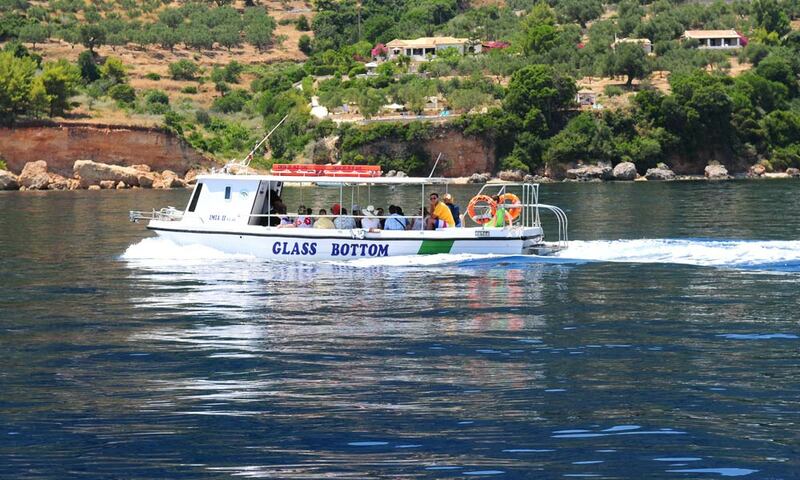 • The boats have a toilet. 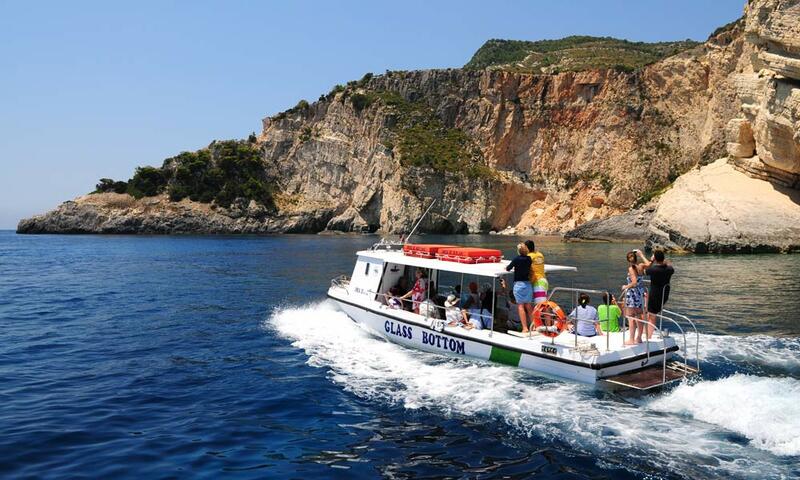 • The crew of the boats and the drivers of the vehicles are experienced and have the appropriate certificates. 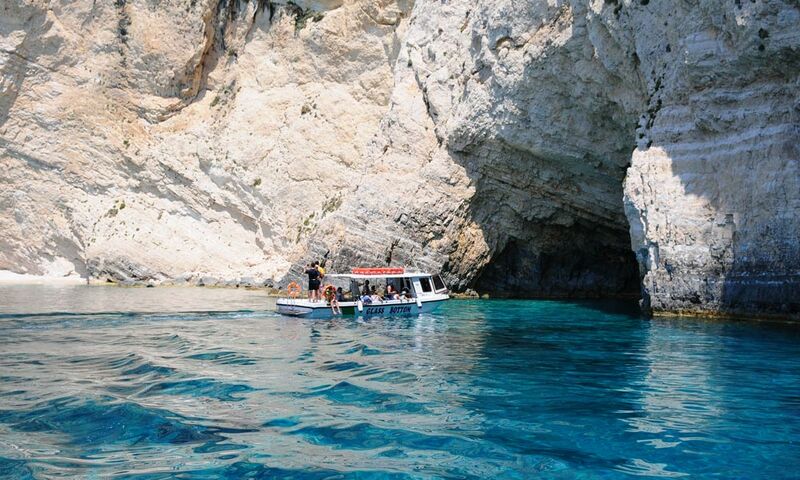 • Before you leave, you should get water, refreshment or snacks. 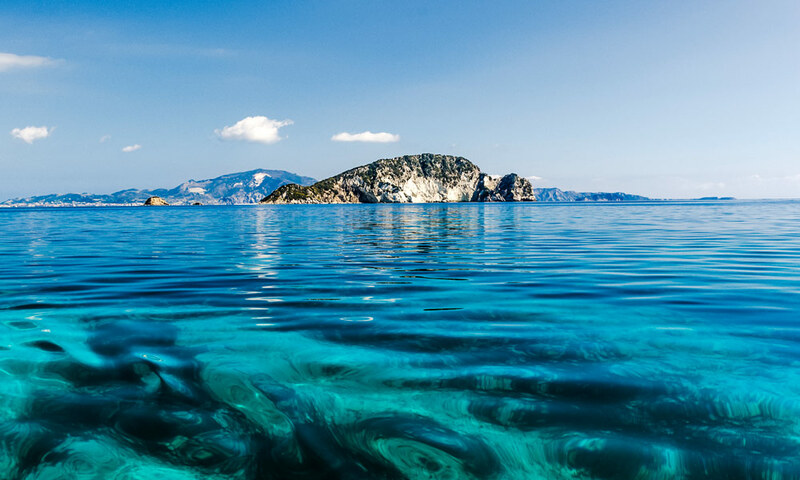 • Don't forget your swimsuit, towel and sunscreen. 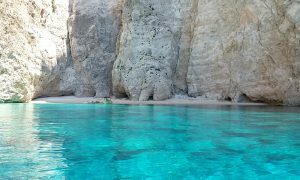 • Our travel agency is located on the coastal road of Zakynthos town (K. Lombardou), with staff ready and willing to assist you. 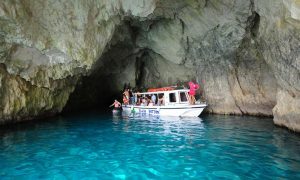 Send your booking request for your desired date. We will contact you shortly after receiving your request. Please note that the booking is pending until you receive a booking confirmation.